Yes! 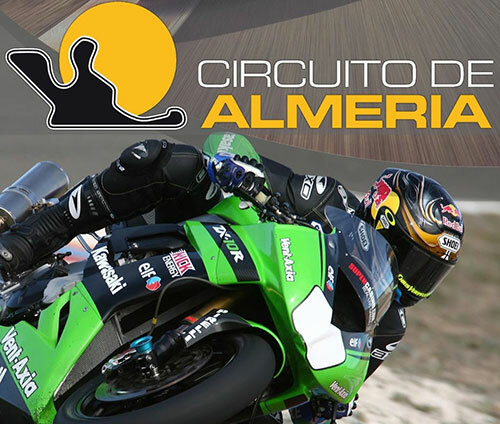 Now the summer really starts for us at Circuito de Almeria. We have many ways to ensure you enjoy your event. All you need to do is click and look for those sunglasses. "WHERE THE SUMMER NEVER ENDS!" A good time is in 2 minutes plus and then when you get into the 1 minute bracket you’re really moving and then you just want to keep improving! Friendly staff that makes it feel like a home from home! Return bike transport for your machine from a designated UK collection point or Antwerp to the circuit. 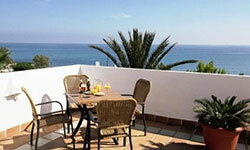 An equal number of nights’ accommodation to your days on track in a quality 4 star hotel with breakfast included. Partner packages - bring a friend or partner so they can join you in the sunshine having fun. 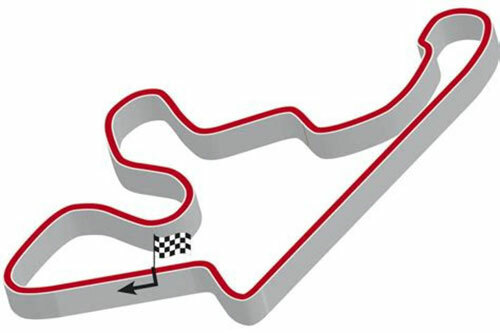 Track time that is run normally with groups and a timing system to ensure you are in the correct group with riders of equal ability. 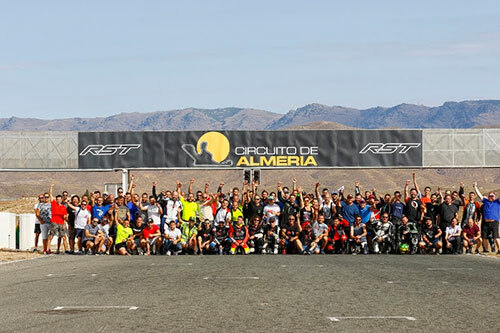 Star Riders in the pit lane - book yourself in with a BSB or World Champion for a day’s tutoring. For all levels and beginners are especially welcome! Off road option with our desert adventures. And our professional, friendly and highly experienced team to look after you on your Euro track event. When you book one of our events you are entitled to a special FE car hire voucher code. 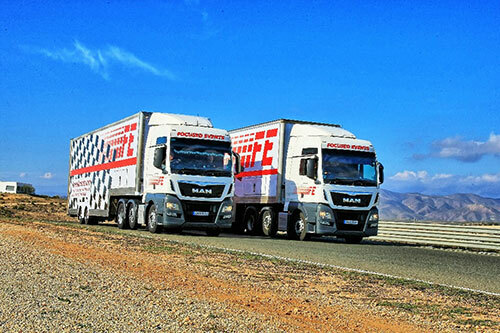 This will get you a FE discount with a reputable Spanish hire car company, again to save you money. 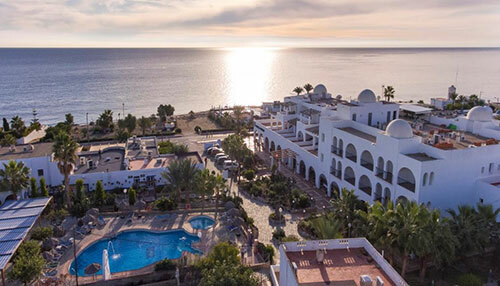 The 4 star Hotel with a reputation for service and quality is just 100 metres from the Mediterranean in the coastal resort of Mojacar. 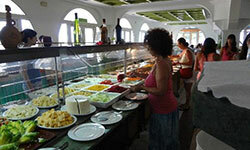 The package is inclusive of breakfast although the hotel offers a fabulous buffet food selection together with a chef cooking that day’s fresh fish or meat choices. 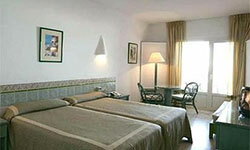 Your room will be a twin sharing or single room upgrades are available for just £32 a night. Dont forget you are welcome to bring a partner or the family, make your break longer or book extra nights before or after your event. 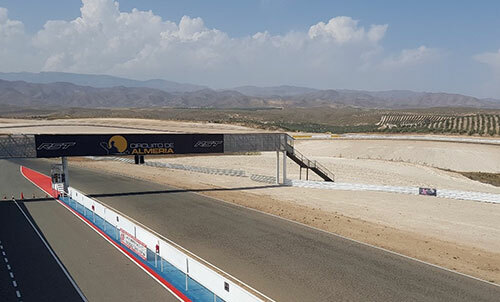 We have chosen Mojacar because although just a 35 minute drive to the Circuit it offers the Mediterranean to relax by at night with a great choice of local restaurants and bars.